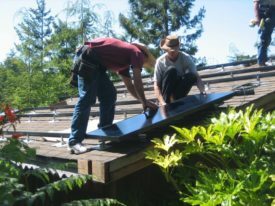 Mendocino Solar Service » Sonoma Clean Power announces July 25th Fort Bragg meeting about solar net metering. Sonoma Clean Power announces July 25th Fort Bragg meeting about solar net metering. Mid-summer greetings from your local solar energy company: Mendocino Solar Service. A few months back, we shared about the arrival of Sonoma Clean Power to Mendocino County. As of June 2017, residents in unincorporated areas of Mendocino County, as well as people who live in the Cities of Fort Bragg, Willits and Point Arena, have a new electricity provider: Sonoma Clean Power. Before June, residents of those areas were being served solely by Pacific Gas & Electric. But last month, approximately 30,000 PG&E customers were to be switched to SCP, unless they chose to opt-out and continue with PG&E as their electricity provider. Over the last few months since the news of this recent change was announced, we have been encouraging solar energy customers with grid-tied systems to learn about the differences between how PG&E and SCP manage net metering. And now there is another opportunity, just around the corner: Tuesday, July 25th at 6pm at the CV Starr Community Center in Fort Bragg. For more information on this event, please contact Sonoma Clean Power at 855-202-2139. For more information about solar energy, and the benefits of grid-tied net metering, we invite you to call Mendocino Solar Serivce at 707-937-1701.